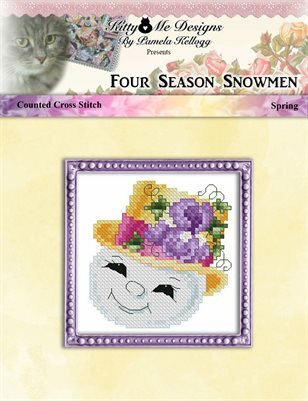 First in the series of Four Season Snowmen cross stitch patterns, this is the Spring Snowman by Pamela Kellogg. All dressed up for Easter, this sweet little guy wears a yellow top hat adorned with an pretty purple iris. These are small designs, suitable for ornaments.